3550 Highway 7 Condos is a new condo development at 3550 Highway 7 East, Markham ON L3P 1A1 located at Hwy 7 and Markham. This development will be a 2 tower Residence condominium and 1 Office Tower. The major intersection is Highway 7 and Warden North West Corner. B3550 Highway 7 Condominium will have 1 bedroom, 2 bedroom and 3 bedroom suites with a ground level for retail purpose. 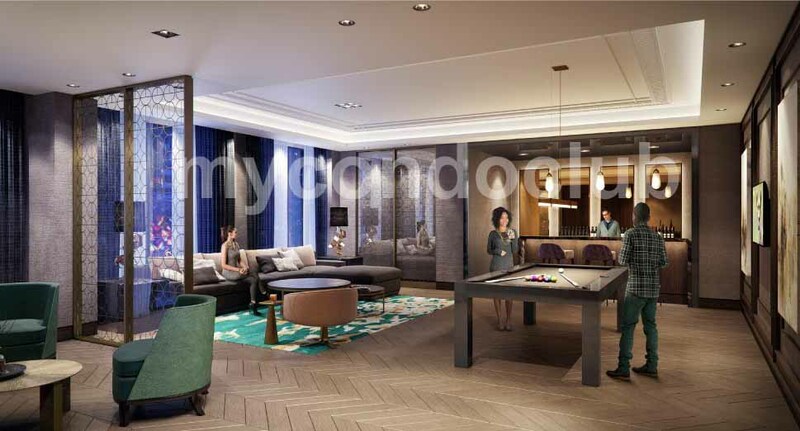 Located in the Downtown Markham, 3550 Highway 7 Condos will also have lots of amenities like Fitness Centre, Saunas, Indoor swimming pool, Hot Cold Plunge Pools, Karaoke Room, Lounge, full Kitchen Party Room, Game Room and Bar, Library, Mah Jong room, Guest Suite, Yoga Studio and Ping Pong Room. Contemporary design makes 3550 Highway 7 Condos one of the unique condos in the area. Lots of lights and spectacular views of the Toronto skyline from a spacious balconies or terraces will be seen in these units. 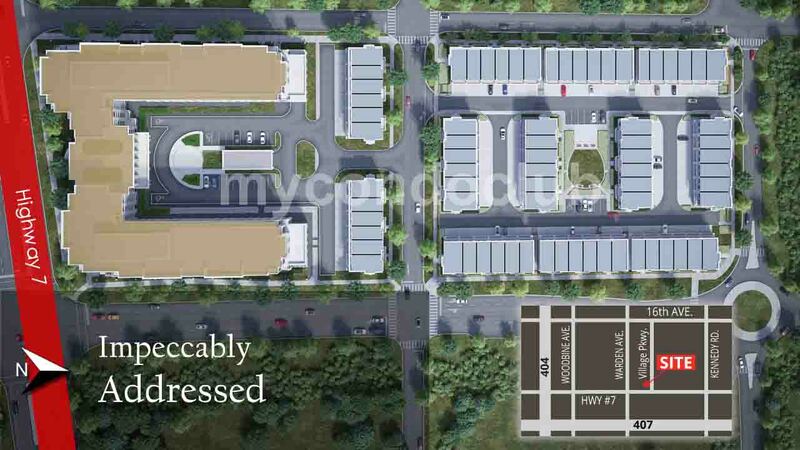 Minutes walk to Public transit, Markville Mall, schools, Major banks and retail shops, supermarket – shopping, dining and entertainment at your doorstep! Viva Transit to major arterial roads (Hwy 7, 407, 404, and 401), shopping Centre like First Markham Place, Markville Mall, etc., and top rated school zone includes elementary school, high school, and future York University are in the local area. Carlton Park, Toogood Park and Thomas Frisby Woods are some of the parks closest to the 3550 Highway 7 Condos in Markham.